Mia is a budding cellist facing the decision of a lifetime. The car accident that left her in a coma has claimed the lives of her parents and younger brother. Mia, who is now in a ghost-like state, has a choice to make. She could either pass on and join her family, or battle on and reclaim her life. The only thing keeping her from dying is her boyfriend. 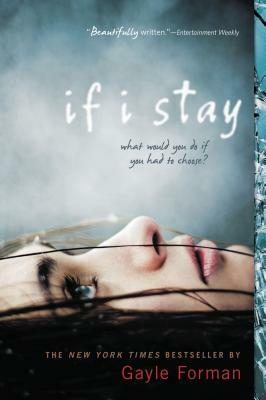 Gayle Forman’s If I Stay is a moving story that begs the question… if you could choose to stay, would you?